Ruth Una Paige, 96, Grace Village Retirement Community, Winona Lake, passed away at 8:10 p.m. on Sunday, Feb. 10, 2019. She was born Jan. 29, 1923, in Brooklyn, N.Y. to William Ernst Krause and Ruth Una (Arnst) Krause. She lived in the greater New York area until her late 30’s. She was married on Valentine’s Day 1943 in Durham, N.C. to Reverend James “Jim” Constantine Paige, where he was serving in the Army during World War II. They shared 56 years of marriage together before he passed away on Sept. 19, 1999. After the war, she worked in her husband’s insurance agency, Paige & Campbell, then at another office as an insurance underwriter. Once Mr. Paige graduated from Grace Seminary in Winona Lake, they went on to start many churches, including several locally. She served as a pastor’s wife in nearly 20 locations throughout the Midwest and Eastern United States. She was a member of Pleasant View Bible Church in Warsaw, was Our Lady of Kosciusko in 2007 and had served in many volunteer capacities in the community. She always took great joy and pride in her family relationships and made it a point to teach each one to live well for the Lord, and to finish well in the same fashion. She will be lovingly remembered by her two daughters: Darlene Ruth (Retired Col. R. Gary) Tregaskis, Johnson City, Tenn.; Lynn (Terry) Howie, Winona Lake; son: Retired Col. Kurt R. (Carol) Paige, Colorado Springs, Colo.; five grandchildren, three-step-grandchildren, eighteen great grandchildren, five step-great grandchildren, and four great-great grandchildren. She was preceded in death by her parents, husband, brother, Allan R. Krause, granddaughter, Amy Nicole Paige and her step-granddaughter, Patti Howie Tucker. 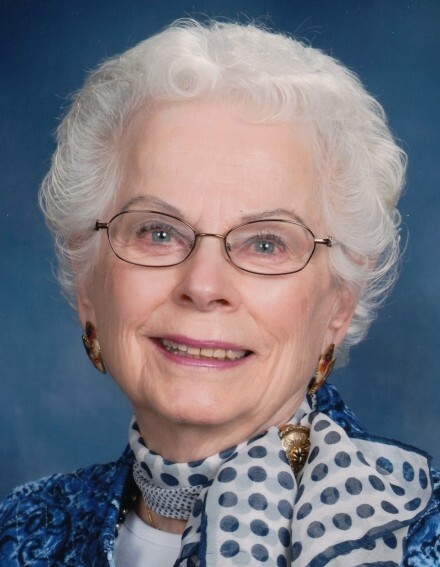 Visitation will be held from 1-3 p.m., Saturday, Feb. 16, with her memorial service to be conducted at 3 p.m. at the Grace Village Chapel, 337 Grace Village Drive, Winona Lake, with the Rev. Mike Hontz officiating. Private burial will take place on Friday February 15, 2019 at Oakwood Cemetery in Warsaw. Arrangements were entrusted to Redpath-Fruth Funeral Home, Warsaw, Indiana. Memorial donations may be directed to Grace Village Retirement Community – “Caring Friends”, 337 Grace Village Drive, Winona Lake, IN 46590; or to Pleasant View Bible Church, 2782 W. 200 N., Warsaw, IN 46580 and would be appreciated by the family.